Many multi-sensor fire detectors detect carbon monoxide (CO) as well as smoke and / or heat. 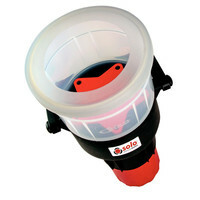 Under international codes and standards the CO cell needs to be functionally tested with a CO stimulus from the protected area through the detector vents to the sensor. 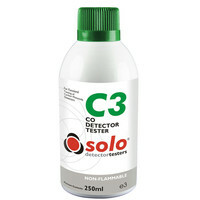 Solo C3 – used in conjunction with Solo 330 / 332 dispensers - provides a safe way of achieving this with CO concentration levels high enough to activate an alarm, but low enough not to pose danger to user health.